Roasting adds complexity to the classic taste of pistachios without taking their identity, and enriches their fragrance by aromatizing their oil. 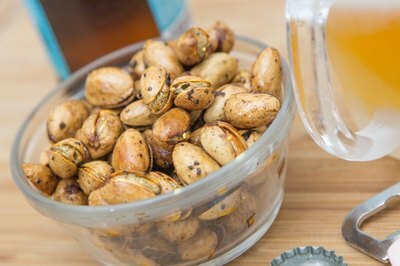 Coating the humble yet elegant pistachio with a spice paste before roasting lets you take them in any direction you like -- a spicy South Indian curry, a Southwestern lime-and-cilantro mix and a simple Italian olive-oil-and-basil rub all work here. For the purists, a little oil and coarse salt fits the bill. Both shelled and in-shell pistachios use the same roasting method. 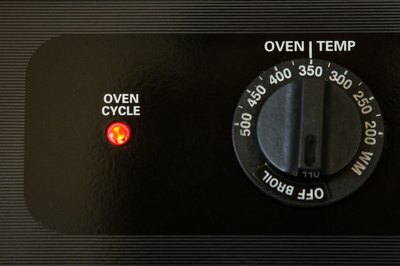 Heat the oven to 350 degrees Fahrenheit. 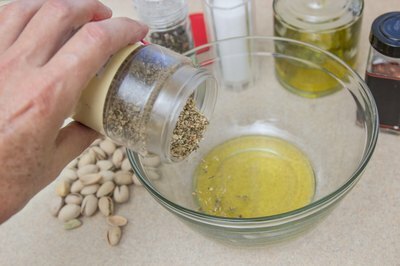 Add about 2 teaspoons of oil to a mixing bowl for every cup of pistachios you want to roast. Add the spices and herbs for the spice paste, if desired; you need about 1 teaspoon each for 1 cup of pistachios. Spice mixes, such as Chinese five-spice powder and curry pastes, work well, too. Add salt to taste. Add the pistachios to the mixing bowl and coat them with the paste. 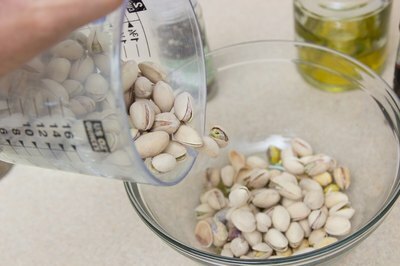 If you're roasting in-shell pistachios, work the spice paste into the cracks in the shells with your fingers. 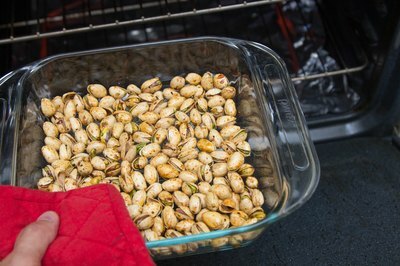 Spread the pistachios out in an even layer on a baking sheet and place them in the oven. Slide the pan back and forth to turn the pistachios after 10 minutes if they're in the shell; turn the pistachios after 5 minutes if not. 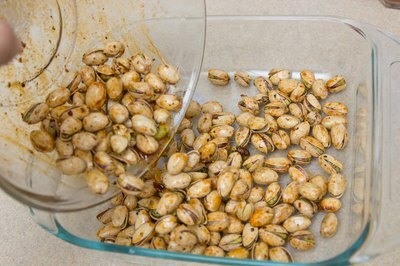 Roast in-shell pistachios for 20 to 25 minutes, or until the spice paste appears baked in. Roast shelled pistachios for 10 minutes, then taste for doneness. Take the pan out of the oven and let the pistachios cool to room temperature. 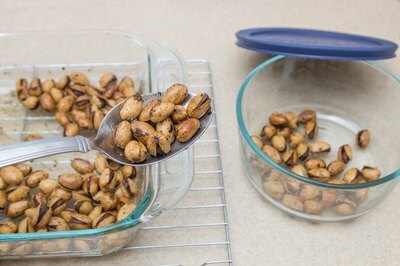 Store the nuts in an airtight container at room temperature and consume within 2 to 3 days.